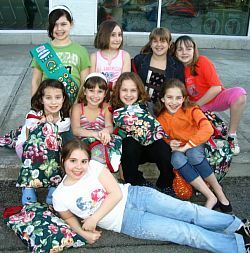 It's not too late to register for Girl Scouts! Please call Kim at 316-7755 or email to- kim63@att.net for further info. or contact Kim at 316-7755 if you would like to purchase cookies. Pictured are Silver Award Recipients: Mary Kate Petz, Lily Cultrara, Nancy Dahlquist, Maggie Rustowicz, Maddy Mitchell, Kate Fonte, Elaina Bolles and Morgan Finn. The Scouts are led by Mary Jane Fonte and Lee Burns. The Girl Scout Silver Award is a level of recognition available to middle school girls who exemplify leadership, commitment and action in their personal lives as well as in a community issue. The eight girls from Grand Island Cadette Troop #1019 will complete their Silver Award this month after a two-year process of investigating the role of Senior Citizens in our lives and the power of women in society to make a difference. Their project put the words of the Girl Scout Law of “being considerate and caring” and being “responsible for what I say and do” into action! 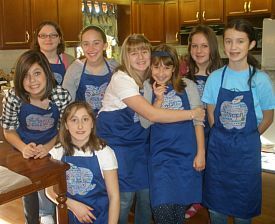 This past fall, the girls hand picked bushel after bushel of apples and then used them to make homemade apple pies, apple bread, and applesauce. The scouts then tried to “make the world a better place” by delivering their goodies on handmade ceramic plates, adorned with apple shaped crafts to shut-ins around the Island. 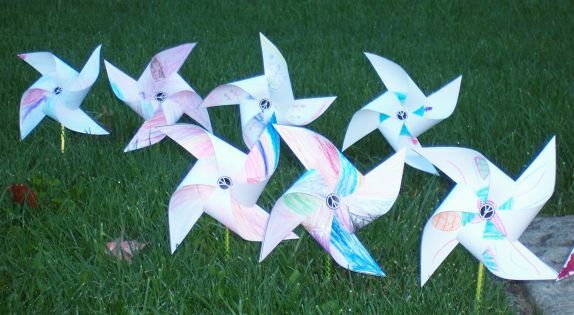 The girls quickly learned that aging is not the only reason that someone may become shut away from the rest of the world, and added those dealing with Cancer to their list of recipients. In the end of this 45+ hour project, the Silver Award Scouts learned that by celebrating themselves today, and developing their ideas and voices into action, they could make a difference for others by being active members of the Grand Island and WNY communities. 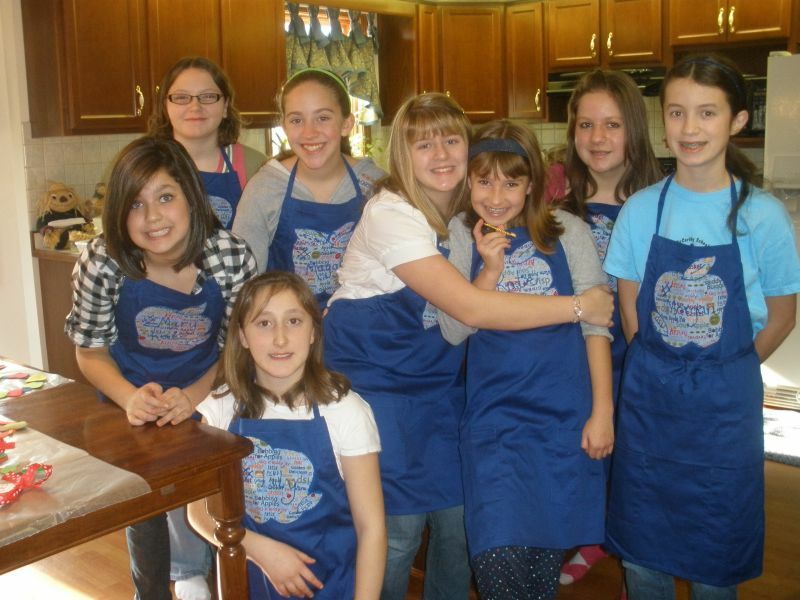 Members of Girl Scout Troop 1710 will hold their annual cookie sale from 1 p.m. to 3 p.m. Friday, November 27, 2009 in front of Adrian's (Blvd. side ). Something new this year is a " drive thru " sale. 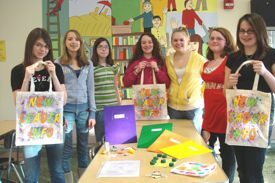 Troop 814 displays new leader info bags. 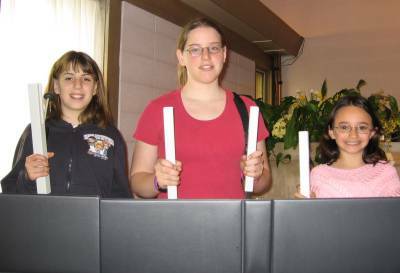 Members of Grand Island Girl Scout Troop #814 completed their Silver Award in April 2009. Their project consisted of making a New Leader Information Bundle for their Service Unit. The girls researched information pertaining to safety, ceremonies, games, songs, crafts, swaps and camping ideas that they put on DVD's and paper. 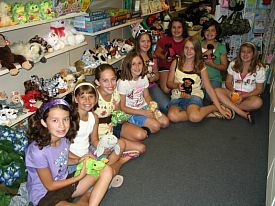 They also made samples of crafts and swaps. 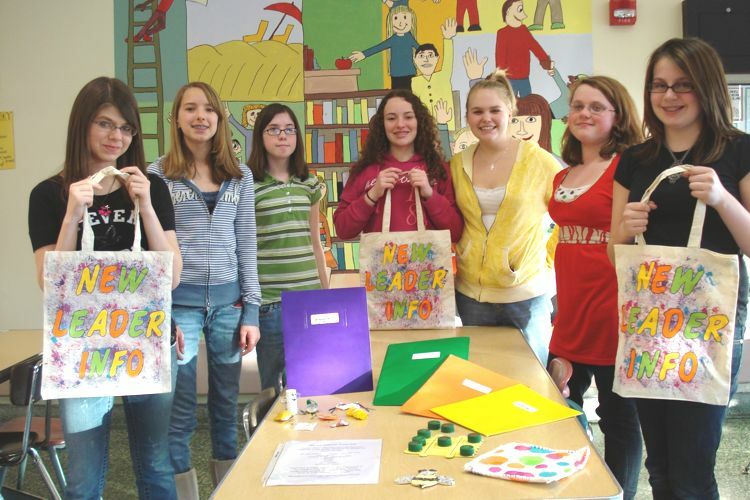 All the information was placed into decorated canvas bags to be used by new Girl Scout leaders. 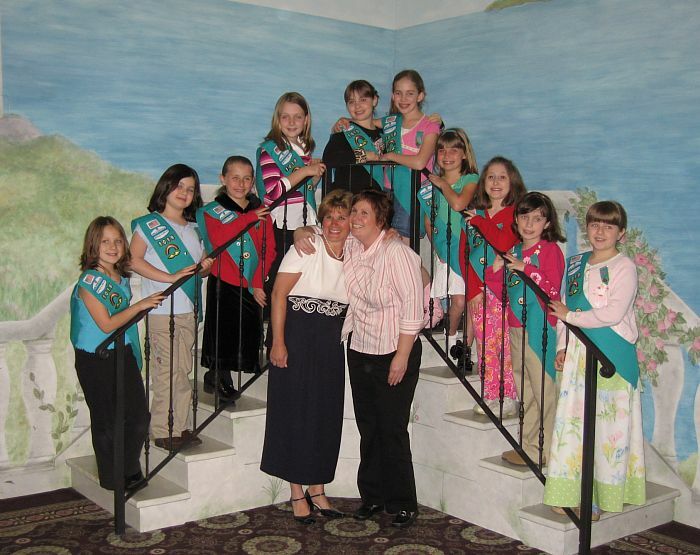 Girl Scouts of Grand Island will hold a Girl Scout Carnival from 11 a.m. to 3 p.m. on Saturday, March 14 in Trinity United Methodist Church, 2100 Whitehaven Road. The event is open to the public and will feature a Basket Raffle, Games & Prizes, Cake Auction, and Food. Grand Island Girl Scout Troops 1710 and 414 will hold a Girl Scout Cookie Booth from noon to 4 p.m. Saturday, November 22 at Island Pets and Feed in the Grand Island Plaza. Grand Island Girl Scouts will sponsor a Fall Fun Festival from noon to 3 p.m. Sunday, November 2 at the Nike Base Recreation Center, 3278 Whitehaven Road. This is a free event for the whole family, filled with science, games, crafts, dancing, camping and so much more! You don’t have to travel farther than the Grand Island Plaza for the youth of Grand Island to get sound advice about starting and owning a small business. 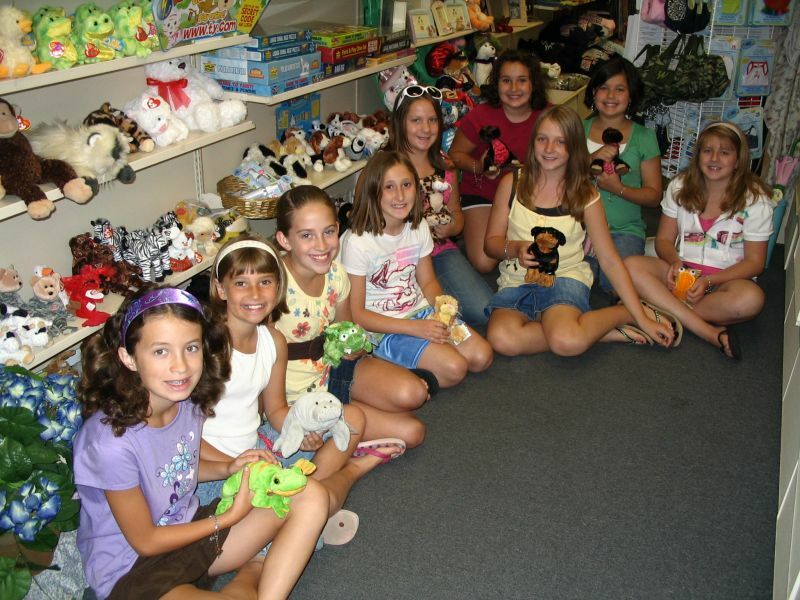 Recently, the Cadettes of Girl Scout Troop #1019 and their moms spent a morning touring Adrian’s Beef and Custard, Island Pets and Feed and Pam’s Gift Shop and talking to the owners about their experiences as women in business. 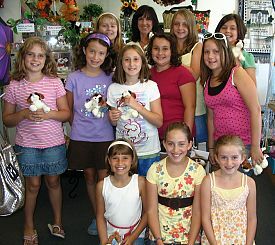 The group of sixth grade girls saw, firsthand, what a wonderful community of businesses Grand Island has to offer and were able to fulfill many of their requirements for the Girl Scout Career Award, a preliminary step toward the prestigious Girl Scout Silver Award without ever having to cross the bridges! Owners Toni Antonelli of Adrian’s, and Pam Gallagher of Pam’s Gift Shop along with Julie Dee of Island Pets and Feed were inspirational in sharing their stories and giving suggestions to this group of future business workers and possibly owners. The Cadets and adults were most appreciative. 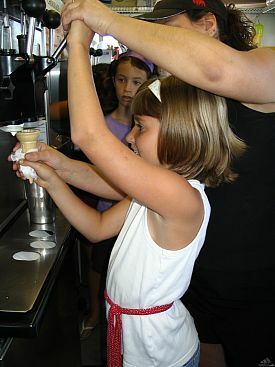 Pictured is Kate Fonte, getting a generous, helpful hand in the art of ice cream from Ms. Toni, while Morgan Finn looks on. Additionally, Pam Gallagher poses with her visitors & their furry friends: Maddy Mitchell, Kayla Myers, Mary Kate Petz, Jessica Mitchell, Morgan Finn, Lily Cultrara, Jessica Foote, Elaina Bolles, Kate Fonte, Maggie Rustowicz and Maryelisabeth Rustowicz. 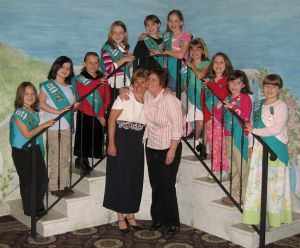 The troop meets twice monthly under the direction of Mary Jane Fonte and Lee Burns.